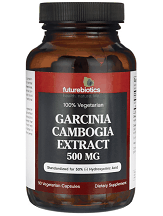 What is Futurebiotics Garcinia Cambogia Extract? Weight loss is and will probably always be one of the most popular aspects of the supplementation market which aims not just to achieve weight loss, but also to improve health. Futurebiotics Garcinia Cambogia is one of the many Garcinia Cambogia supplements that aims to achieve weight loss through natural means with the use of Hydroxycitric acid naturally found in the rind of the Garcinia Cambogia fruit. Futurebiotics Garcinia Cambogia Extract has 50% standardized HCA (hydroxycitric acid) which is the component responsible for weight loss. 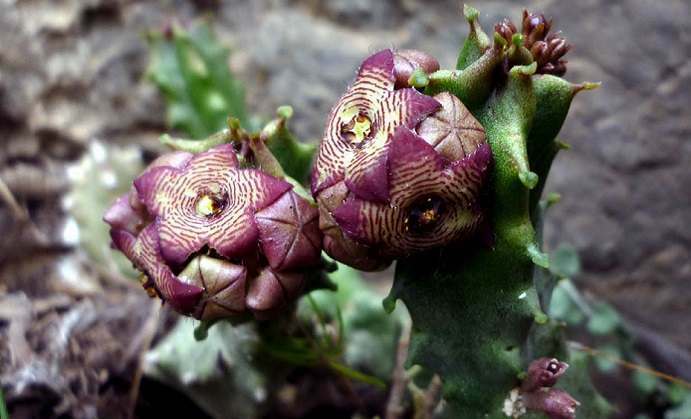 It is advised that in order for any Garcinia Cambogia supplement to have any effect that HCA must not be below 50% therefore, Futurebiotics has provided the necessary amount, but the bare minimum, when compared to its competitors that offer an average of at least 60-65% and some up to 95%. Futurebiotics Garcinia Cambogia also contains 85mg of calcium to aid with absorption as well as cellulose, vegetable stearate, and silica which are known binders and fillers used in many supplements and medications. Futurebiotics recommends that one tablet is taken daily at least 30-60 minutes before a meal. Futurebiotics Garcinia Cambogia Extract comes in bottles of 90 tablets, good for a three-month supply at a cost of $15.85. Warnings stated on the Futurebiotics website state that their Garcinia Cambogia supplement should not be used when pregnant, breastfeeding, or by children. There is no mention of any restrictions for people that may have other medical conditions or that may be taking other medications or supplements that may possibly contradict Garcinia Cambogia. Garcinia Cambogia, in general, has known to have mild side effects found in very few individuals which include dizziness, dry mouth, and problems relating to the digestive tract. Futurebiotics Garcinia Cambogia Extract does have a guarantee and return policy in place wherein the manufacturer provides a full money back guarantee with shipping that can be availed anytime should customers be dissatisfied with the results. The Futurebiotics website and its page for its Garcinia Cambogia Extract also has an outlet for customers to leave reviews though there is currently only a single review displayed which states that the product has worked as an effective appetite suppressant and hence prevented further weight gain but was not effective towards achieving actual weight loss. However, this customer has still achieved weight loss from other means and states that Futurebiotics has aided him in that achievement by making him feel fuller for longer. Futurebiotics Garcinia Cambogia Extract may be part of a large and reputable company in the field of pharmaceuticals and supplements, however, this supplement offers the bare minimum in HCA content to just about warrant being called a Garcinia Cambogia Supplement which will likely lead to delayed results or will lead to no apparent changes in weight. The Futurebiotics website displays clear information on the product with a return’s policy but reviews are lacking and unclear.